Take the first step and schedule a home energy audit from GSM Services. During a home energy audit (also known as an energy assessment), a GSM Services specialist will use various tests and inspections to determine the efficiency, safety and function of your home's major systems. Our experts may also use special equipment to find sources of energy loss throughout the home (particularly in the attic and basement). Based on the results of the whole-house assessment, GSM Services can then provide a detailed report, showing you exactly how your house is using energy and where energy is being wasted. The report will also show which energy-efficiency upgrades should be done and in what order. Don't guess at what your house needs to be more energy efficient. Taking a haphazard approach to saving energy can cost you money without giving you the right results. Contact the experts at GSM Services to schedule a custom energy audit today! There's no room for guesswork when it comes to improving your home's energy efficiency. There are simply too many features, details and conditions to identify and evaluate. 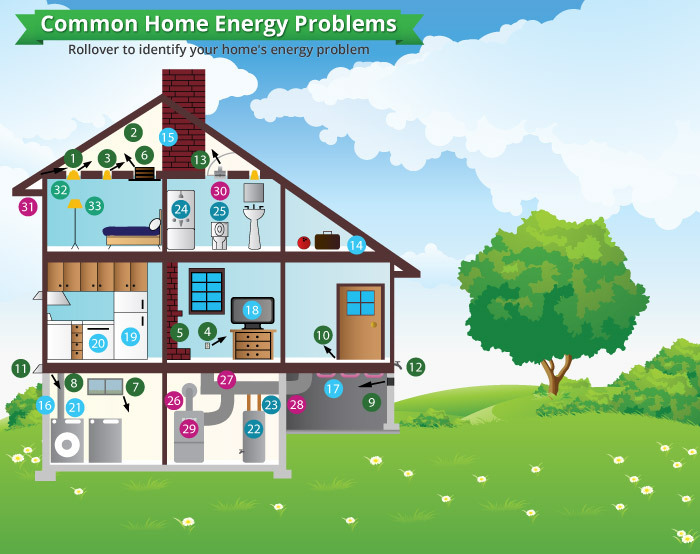 Dr. Energy Saver's Complete Home Energy Checkup includes in-depth inspections, tests and calculations that determine exactly how your house is using and losing energy. The result is a comprehensive diagnosis of energy problems and a prioritized prescription for improvements that will maximize energy savings. As a member of the nation's leading energy services contractor network, GSM Services' technicians are trained at the Dr. Energy Saver training center. What makes us unique is that we will not only provide you with a complete energy audit, we also prioritize improvements and complete the upgrades identified in the energy assessment. Contact the energy experts at GSM Services today. Call us at 1-844-691-4184 or contact us online to schedule a home energy assessment. We also provide fast, written free estimates to homeowners in Gastonia, Mount Holly, Fort Mill, Huntersville, Hickory, Matthews, Denver, Gaffney, Lincolnton, Rock Hill and the surrounding areas.